First Grilling of the Season! 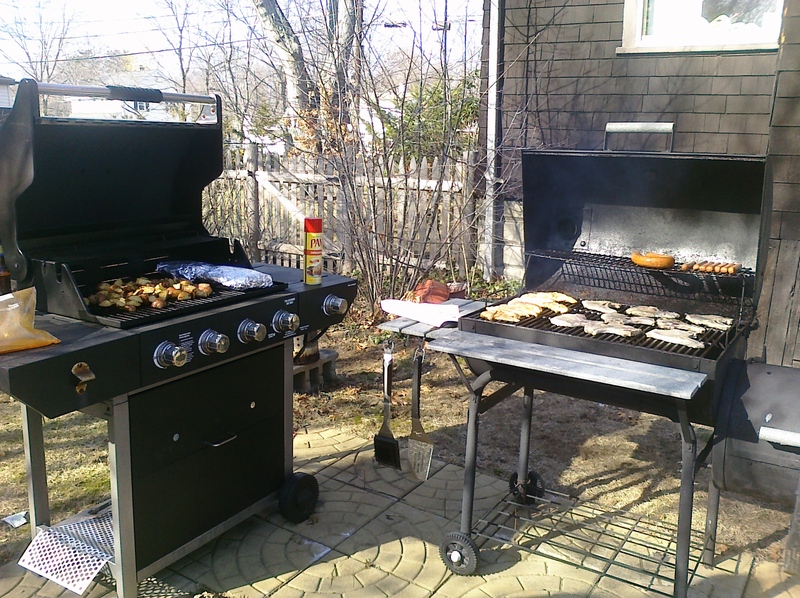 It seems really strange to say that, but with all the snow we had over the winter, Mike couldn’t even GET to the grills. He usually braves the cold and BBQs all year. SO happy to report that we fired ’em up today and had quite the tasty dinner with some good friends (and neighbors). It was a spur-of-the-moment thing when Maggie invited her friend over…and Mike decided to make a meal of it and invite the whole family. 🙂 Such a good time! Looks yummy! Even at 11 pm 99 or is it especially at 11 pm?